How do Simple Rules help share or prompt knowledge in a complex world? Another excellent blog post from the Farnham Street blog reviews Donald Sull and Kathleen Eisenhardt's book "Simple Rules: How to Thrive in a Complex World". This book described the development of what we might call heuristics, or "rules of thumb" as simple ways to guide behaviour. 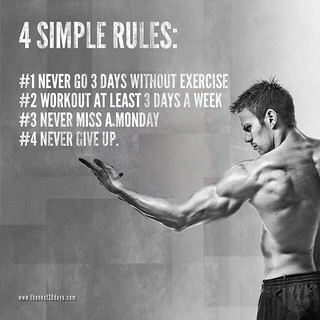 Here are the simple rules for using simple rules. If you’ve got a full list of tools [simple rules], and go through them in your mind, checklist-style, you will find a lot of answers that you won’t find any other way". Some of these rules - the most robust ones - can be written down in the form of external checklists, and the checklists used by surgeons and pilots represent a set of shared rules, built up from years of safety analysis, which allow them to perform their jobs effectively and efficiently. Other simple rules can be used as a framework for mentoring more junior staff, by providing them with a set of ways to think about a problem. Charlie Mungers mental checklist could be used as the basis for training or coaching aspiring business people, but will certainly need the presence of the trainer or coach for the knowledge to be effectively transferred. Sometimes its best to develop and discuss in your communities of practice, until they are fully internalised, the simple rules that give concrete guidance, and then leave the details up to the individuals. "march toward the sound of gunfire"